A number of commentators have noted two different trends. First, across the nation Republican lawmakers are pushing for bills criminalizing protests. Second, a number of state legislatures have passed or considered, often at the impetus of Democratic lawmakers, bills aimed at silencing the movement for Palestinian human rights by targeting boycotts of Israel. These trends should not be viewed separately from one another. It is important to understand that the more general anti-protest bills and those aimed specifically at the Palestinian human rights movement are motivated by the same factors. The bills aimed at silencing supporters for Palestinian human rights are anti-protest bills. All of these anti-protest bills are not arising exclusively out of a general disdain for public participation, but out of a disdain for the public participation of particular social movements that the bills’ sponsors fear will be successful. Together, the two trends amount to a bi-partisan attack on the First Amendment. Bills aimed at silencing Palestinian human rights advocacy have explicitly attacked the right to boycott. Sixteen states have passed anti-boycott bills in the last three years and many more have considered or are currently considering such measures. The first anti-boycott bills appeared in 2014, and were a response to academic associations, such as the American Studies Association, the Asian American Studies Association and the Native American and Indigenous Studies Association, that had endorsed academic boycotts of Israeli state institutions. A bill in New York would have prohibited public colleges and universities from using state funds to pay for membership in or travel and lodging for a conference held by an academic association boycotting Israeli state institutions. Maryland followed suit with a bill that went one step further, prohibiting public colleges and universities from using any money to pay for membership in, or travel and lodging to attend a meeting of, an academic association boycotting Israel. Both of these bills failed to pass at the time, but last week the New York State Senate passed such a bill along with two other fast-tracked anti-boycott bills. The prohibition of funds being used for travel or lodging is particularly illustrative of the McCarthyite intent behind these bills. For example, if a history professor gives a scholarly presentation on 19th century slavery at an American Studies Association conference, and their university reimburses them for their Amtrak ticket to attend the conference, no money from the state coffers goes to the American Studies Association. Yet, this use of funds is still prohibited. The only thing such a prohibition accomplishes is making it more difficult for scholars to participate in the proceedings of one of the offending associations, thus disrupting the academic association’s ability to conduct normal business. And it certainly sends a strong message to any academic associations considering taking a stand for Palestinian human rights. The most common type of anti-boycott bills prohibit the state granting public contracts to, and/or investing in, individuals, businesses, and sometimes even non-governmental organizations that boycott Israel. Illinois became the first state to propose such a bill, an amended version passed that required the state to blacklist and divest from only foreign companies. Last year, New York became the first state to see an executive order based on this model. Governor Andrew Cuomo mandated the state create a blacklist of businesses that boycott Israel and not invest in them. The flurry of anti-BDS bills recently passed by the New York State Senate included a bill that would not only codify Cuomo’s executive order into law but also expand it to apply to individuals and non-government organizations and deny contracts, as well as investment. A third type of anti-boycott bill prohibits public colleges and universities from funding student groups that advocate for Boycotts, Divestment, and Sanctions against Israel. This too was among the bills the New York State Senate recently passed during their fit of anti-BDS mania. Following Congress’ lead, Virginia and South Carolina have attempted to codify into existing civil rights laws what is commonly known as the State Department Definition of Anti-Semitism, which conflates criticism of Israel with anti-Semitism. While this is not an explicit attack on the right to boycott, sponsors of this type of legislation often made clear that the motivating factor for this legislation is the growing support for the BDS movement. This is unsurprising as supporters of Israel, even the Israeli government itself, have all expressed concern about BDS. 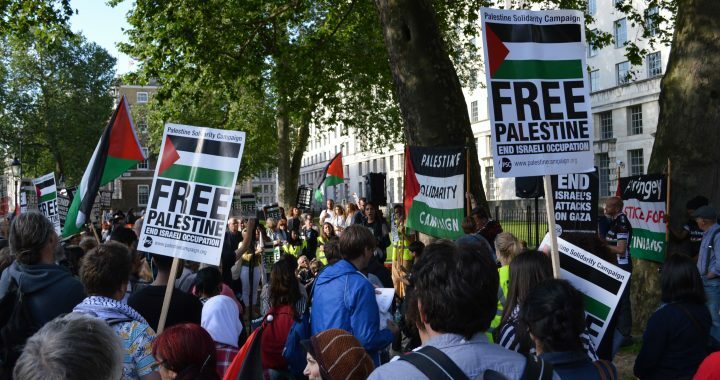 While they fear any success of the movement for Palestinian human rights, they are particularly concerned about how successful the BDS campaign has been at advancing this cause. Boycotts have a long history of being used as a tool for change. The abolitionist movement boycotted slave goods, leftist activists boycotted Japanese silk in protest of the Japanese invasion of China. The labor and civil rights movement have frequently used boycotts throughout their history. When the African National Congress and the Worker’s United Center of Chile issued calls for boycotts of Apartheid South Africa and the military junta of General Augusto Pinochet in Chile, they were able to build solidarity across borders between those directly facing repressive regimes and activists the world over. Boycotts allowed activists to challenge their government’s own complicity in crimes against humanity and in the United States helped to build movements that ultimately changed US foreign policy. Boycotts are ultimately a form of protest, like picketing or marching. Attacking the right to boycott is an attack on the right to protest. Politicians seek to rob social movements of their most successful tools in order to prevent social change. None of these bills are emerging in a vacuum and all of them are responses to social movements. As the National Lawyers Guild’s Traci Yoder noted, a number of analyses of these bills have depicted them as a response to the anti-Trump protests, but this trend predates the election of Trump. North Dakota’s bill protecting drivers who run over protesters is a clear response to the resistance against the Dakota Access Pipeline by Standing Rock Water Protectors. Minnesota’s bill giving cities the right to sue protesters to recover the cost of policing demonstrations is a clear response to the protests after Philando Castile died at the hands of a police officer. While repression of social movements is the norm, not the exception, it is worth noting the similarity between various movements the bulk of these bills are targeting. Both the Black Lives Matter movement and the Standing Rock Water Protectors challenge the US’s long legacy of white supremacy, which allows police officers to kill African-Americans with impunity or makes a pipeline too dangerous for a predominantly white community’s water supply, but safe enough for a Sioux reservation’s water supply. Activists have also drawn connections between the ways the Black Lives Matter and Palestinian human rights movement both challenge the role of systemic racism in facilitating state violence and how the Standing Rock Water Protectors and Palestinian human rights movement both confront colonial legacies. Any social movement that appears to have even a remote chance of succeeding will be attacked by those who wish to prevent social change. Black Lives Matter, the Standing Rock Water Protectors, and the Palestinian human rights encounters, as a result, all have enemies in the political class. The anti-boycott bills also can have a widely felt chilling effect, even if the population that would be directly impacted by them, such as independent contractors who participate in the BDS movement, is quite narrow. Confusion about the exact contours of the legislation can cause people to unnecessarily self-censor. Such laws also set the precedent that the state will attempt to penalize participation in the BDS movement, causing individuals and organizations to think twice before weighing in on the struggle for Palestinian rights. Anti-protest bills, whether they target boycotts against Israel or the mythical (and non-existent) paid rioter, are designed to silence social movements by sowing confusion and spreading fear. These pernicious bills are popping up in statehouses across the nation. To defend dissent, it is incumbent for activists to push back against these bills. Image of a rally for Gaza, by Riya Hassan. Posted in NLG Blog and tagged BDS, boycott, First Amendment, Palestine, Police, Protest.